Garnishing is an easy and fun step in making cocktails, yet too many people skip this step when mixing at home. They simply may not understand or appreciate the power and purpose of a finishing garnish. It goes beyond mere decoration. The purpose of garnishing is to introduce complementary elements into a cocktail to improve overall balance. 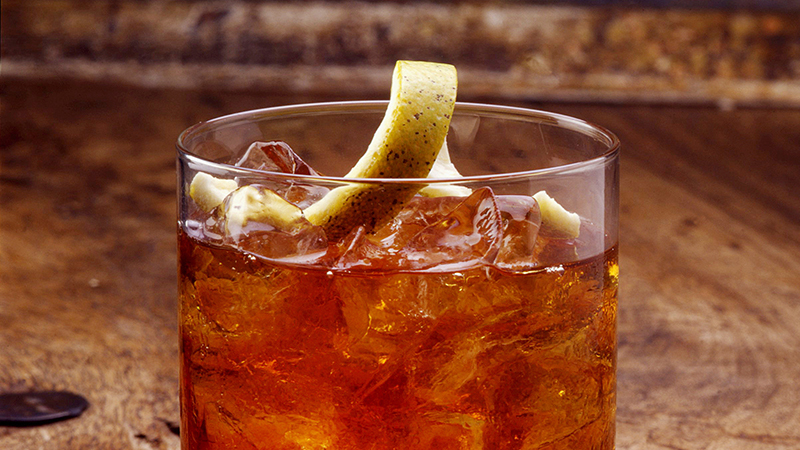 What will a proper finishing garnish do for your cocktails? It will enhance the flavor, kick up the level of presentation and create the impression that you know your way around the back of a bar. That’s the power of a fine finishing touch: it’s icing on the cake. Here are a few examples to get your creative juices flowing. 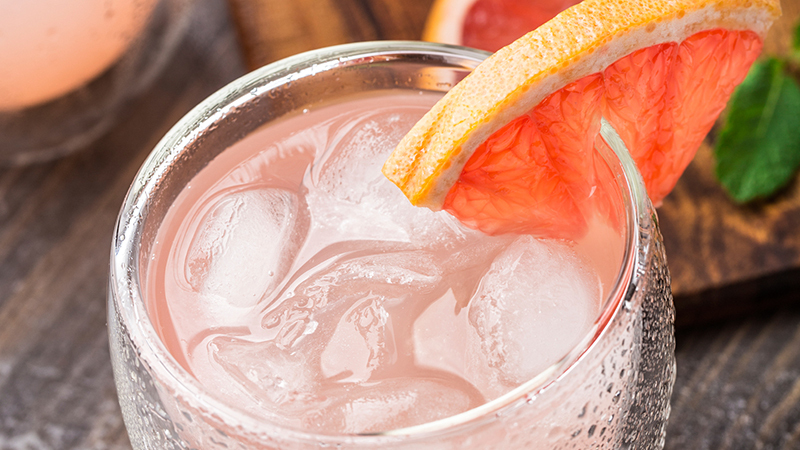 There’s no easier way to imbue a cocktail with citrus oils than the citrus twist. Cut and squeeze the peel over the drink. Notice the spritz of aromatic oils this produces. For even more ambrosial hints, rub the peel around the glass rim, color side down. You can even drop the peel into the glass for some more flavor and additional presentation. 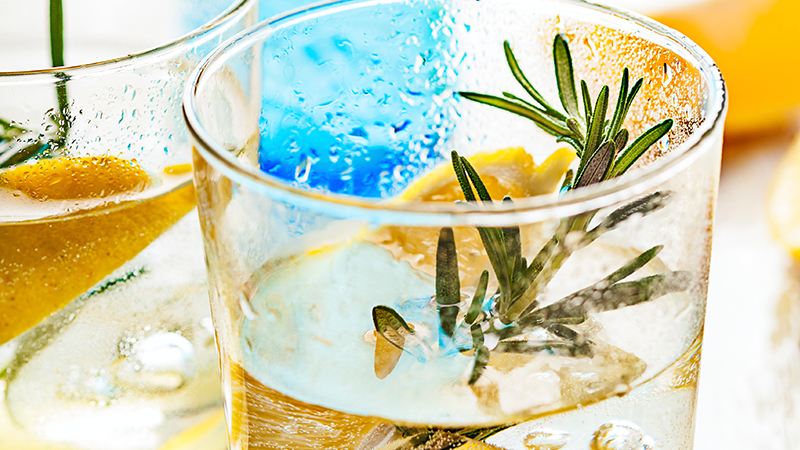 Like fruit rinds, herbs contain oils that add taste, texture and aroma to drinks. 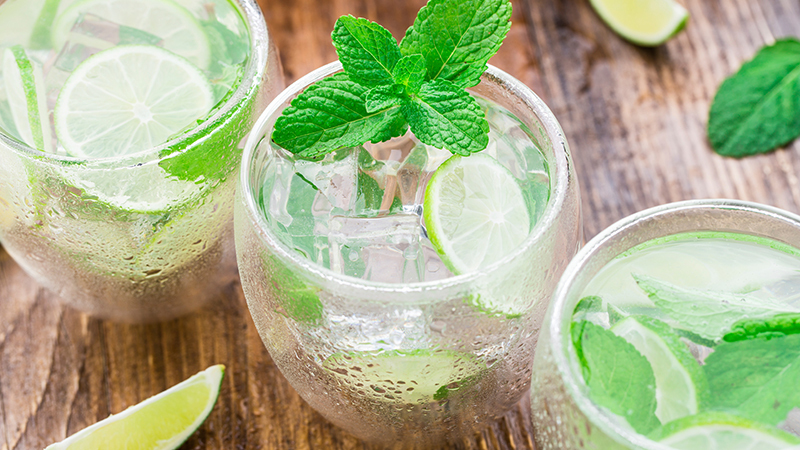 Mint is the most popular herb garnish, and is used in a variety of drinks, including mojitos, juleps and many other summer cocktails. Never reuse muddled mint as a glass-topping garnish. Grab a fresh mint sprig, roll the leaves between your fingers to release the oils and add it to the rim. Enjoy. When you’re looking to make an elegant impression, olives and onions are perfect. 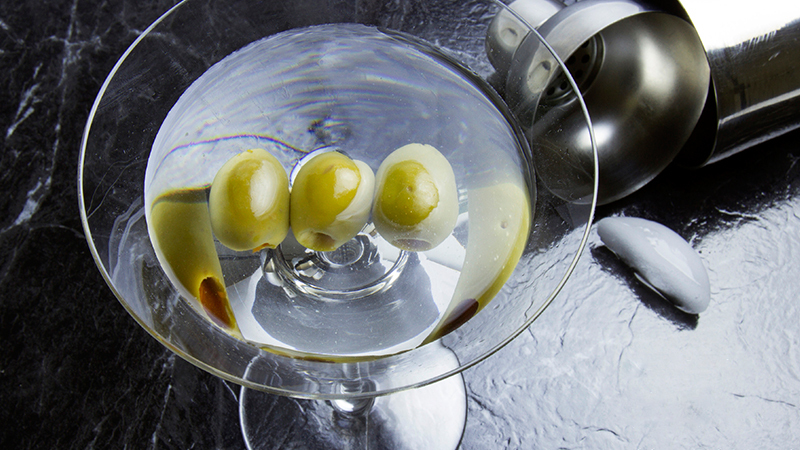 There’s no cocktail more classic than a Martini served ‘up,’ dressed only with a pair of savory olives. Spanish olives are popular, but many bartenders prefer the more flavorful Grecian olives. For high-end impact, try Halkidiki olives stuffed with almonds. Cocktail onions are small and also very tasty. You can freeze them before use, and skip the ice; frozen onions add chill and flavor without the extra water of melted ice (this works with grapes too). Lavender, violet, basil, elderflower, orchids, rose, fennel and persimmons are just a few of the botanicals used to add fragrant flair. Choose hues complementary to the cocktail ingredients. There are also edible varieties, so check with your florist to confirm. 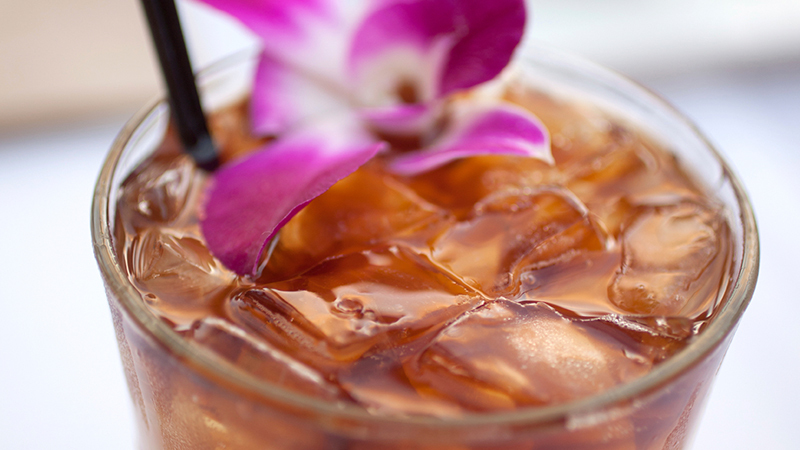 Spices, herbs and vegetables in their natural form also make great garnishes. Adding a simple stick of celery to your Bloody Mary, a little sprig of rosemary to your Lemonade, or a single cinnamon stick to your Hot Buttered Rum will add presentation and boost flavor and enjoyment. Herb-infused cocktails boasting vegetables, spice sticks and herb sprigs make for stunning presentation and tasty accouterments, so have fun with them. For apples, lemons, limes, oranges, grapefruits, and bananas remember the formula for fruit garnishes: wedges, wheels, twists and peels. This covers adding fruit to the rim or simply using the rind oils to their utmost. A couple of green pineapple leaves create a “wow” effect by adding height and visual interest. Maraschino cherries add sweetness and beautiful colors to mixed and virgin drinks alike. The flavor goes well with grenadine, and since they’re available in a variety of colors, they can add exciting visual elements to many cocktails. 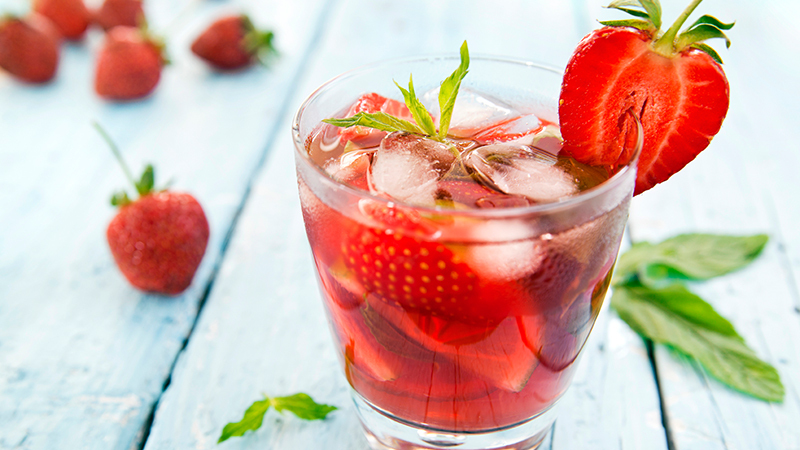 Raspberries, blueberries, blackberries, strawberries are all great additions. Mix and match for more colors. 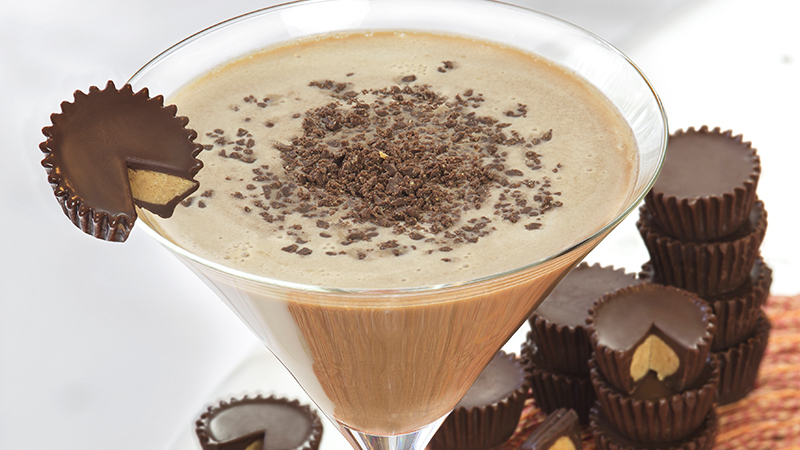 Chocolate, caramel, whipped cream, candy, even nuts – all are great garnishes if added to the right drink. Take a grater to a block of chocolate, drizzle caramel or stick a fun piece of bright candy in or on the glass. Peppermint is popular during the holidays, and whipped cream adds great body. Nothing limits the sweet fun except your imagination.